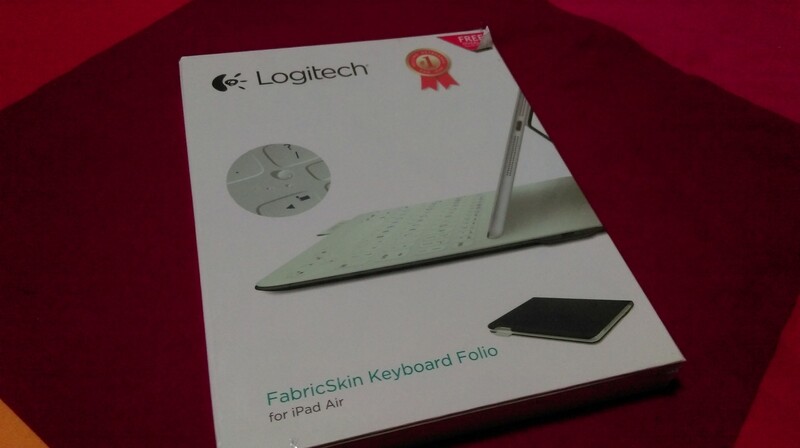 It’s a keyboard cover that’s stylish, thin, lightweight (relatively), with decent external protection for the iPad Air. The external case has a smooth rubbery texture. It also supports auto on / off as well as magnets to trigger auto screen on / off when the cover is closed. At 425g, it was slightly (about 100g) heavier than a previous artificial leather swivel sans keyboard case I was using. The case can be used in two modes, upright with the keyboard exposed and angled for typing, and flipped opposite such that the keyboard is flat for handheld access. The FabricSkin keyboard sports almost full size keys, with some unique key positioning such as a shared caps lock button. There are functions for iOS shortcuts to Siri, application switching and search. The keyboard turns on and pairs automatically when it detects the iPad Air. The iPad Air 2 has a different magnet position and hence wouldn’t work properly with this case. Overall, I like it. 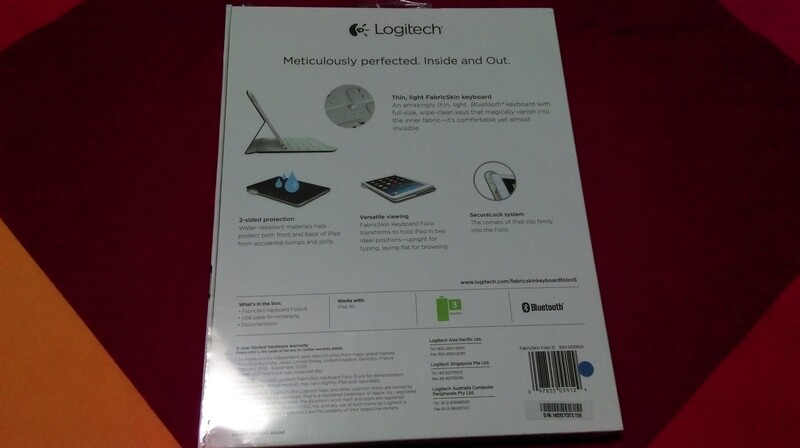 If you need a keyboard case, Logitech has an excellent track record and this particular one didn’t disappoint. One last point to note, it comes in three colours but when I was at Comex today, only the carbon black version was left. One other online review I read pointed out that the carbon black version has a cheaper looking rubber external cover (as mentioned above). On the other hand, the Urban Gray and Mars Orange versions of the same Fabricskin case have fabric-like material on the outside, which generally look and feel better. 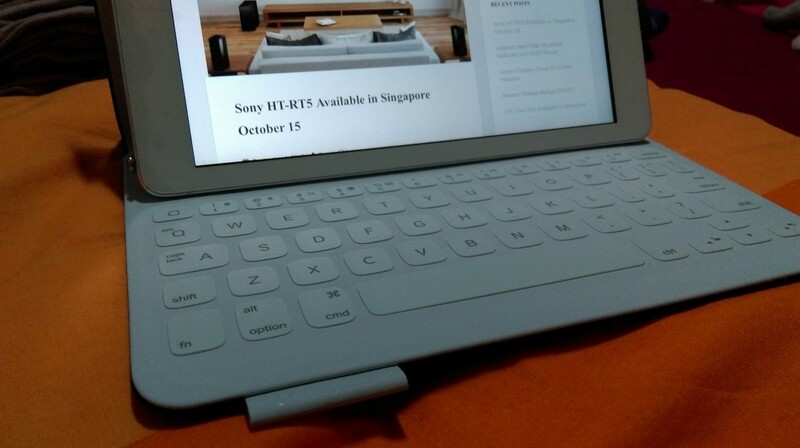 How would this be vs. using the Lenovo S6000 keyboard with your iPad? I presume one major advantage is that it should properly support the copy/cut/paste keyboard shortcuts? And other brightness and volume control keys? It’s designed for the iPad Air so the fit, auto on off, special function keys like copy paste all work. There’s volume and media control keys, but no brightness control. Thanks for your reply. Unfortunately, I didn’t manage to find time to go to COMEX.